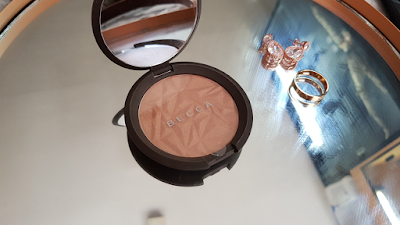 I have wanted to try Becca cosmetics since Jaclyn Hill bought out the highlight, Champagne Pop. It is just so high end and expensive, but when I saw they had travel sized I jumped at the chance. 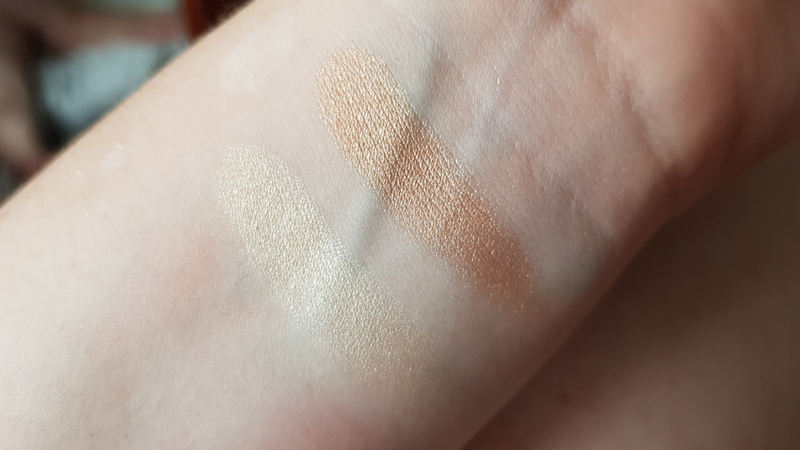 Trying these little beauties pretty much sold me on the brand and I took the plunge and splurged out on a full size highlight. 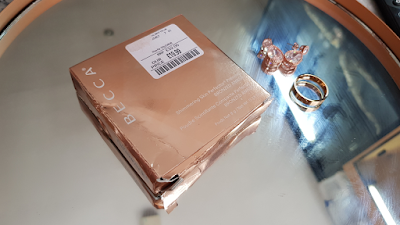 Then a few days ago, while on my regular TK Maxx run I found a full size beauty at an affordable price. 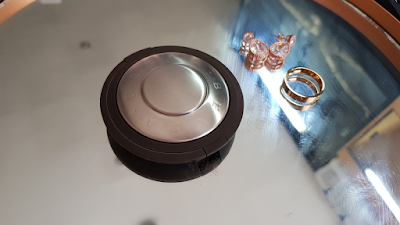 So with my collection growing I had to write a post about it. I have heard lots of good things about this primer and really wanted to give it a go, but I'm cheap and really didn't want to buy the full size in case I didn't like it. So travel size it is, a great size to try and seems to have lasted my a long time. This primer has a more golden hue to it and adds that skin glow under your foundation. It doesn't feel oily which is great, as an oily skinned person I didn't want to add more oils. It blends into the skin well and drys slightly leaving a smooth and slightly tacky base to apply your foundation. The finish is beautiful and really adds that extra oomph to your makeup. I would definitely recommend this primer especially for more tanned to darker skinned people. For more paler skin tones this primer is really good. 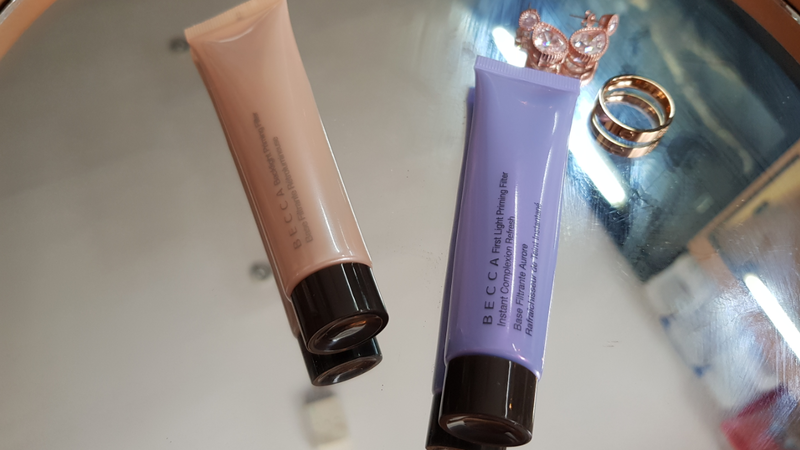 Just like the Backlight primer, it has a beautiful consistency and smells more fruity. Again leaves the skin looking smooth and slightly more supple. The difference is the colour, this primer is purple with more of a silver glow that a golden glow. It adds an instant highlight to the face and creates a more dewy and supple look. I would highly recommend this primer for more pale skin tones and I will definitely be purchasing again. In the Black Friday sales I picked up a mini Opal highlight and it was beautiful. It is a cult classic from this brand and just made me want more of their highlights. This is when I picked up Moonstone and I'm in love. A beautiful pearl golden highlight, that is blinding. Go light for a natural glow or pack it on so it is as bright as the sun. Both highlighters are shimmery, creamy and blend into the skin like a dream. They even work with dry or wet brushes, depending on the intensity that you want. Plus they have handy mirrors in the inside, which is perfect for travel, even the mini has a mirror. 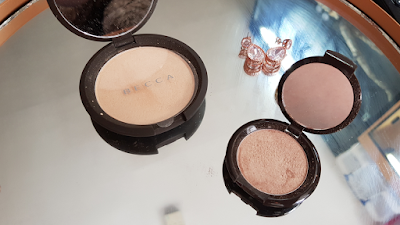 They are so good I need more, they are some of the beautiful highlighters I have used. 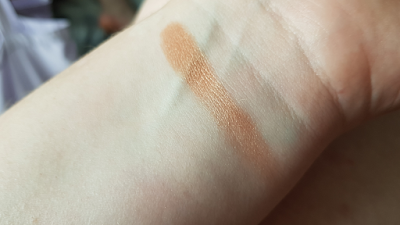 To add to my collection I was lucky enough to find the shade Bronze Amber in TK Maxx for £19.99. Of course it went straight in my basket. It is a more bronze highlight for deeper skin tones to my pale face, but I have found it works beautifully as a glowing bronzer. The shimmer is subtle when used sparingly and just looks beautiful. It adds that beautiful bronzed glow we all want in the summer months and looks really natural. Again the consistency is creamy and blends beautifully, and comes with that all important mirror. A great brand, really worth the hype. 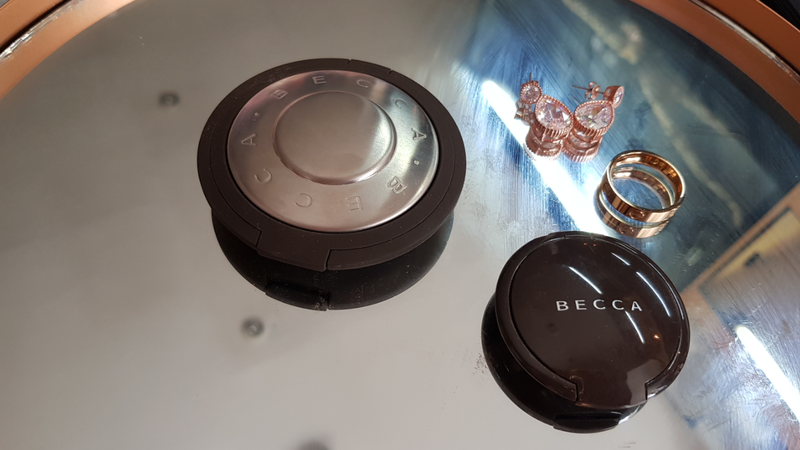 I love Becca Cosmetics! Anything for me to enhance that little glow is the best! TK Maxx is awesome for makeup bargains! saw some ace pixi stuff today!